Hey everyone! I had an amazing weekend in Memphis...but if you haven't heard already....the race got canceled due to the ice storm which in turn made the race not have enough volunteers, police, or medical personnel. I was very disappointed...I've worked so hard to overcome my injuries and run this race. But knowing that I helped raise 8.2 million dollars for St. Jude made the weekend all worth it...despite not being able to run. 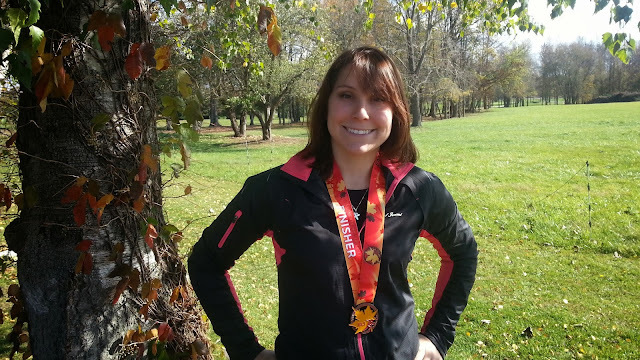 Today I'm spotlighting Courtney from The TriGirl Chronicles. She is a fellow Sweat Pink Ambassador. Keep reading to learn more about her! I started running at age 12. I was told I was decent runner and was encouraged to join my schools modified track team. I’m really enjoying 10k’s right now. It’s a comfortable distance and I can crank one out at a good clip. My favorite 10k so far was the Cooperstown BASE Race in historic Cooperstown NY where the Baseball Hall of Fame is located. 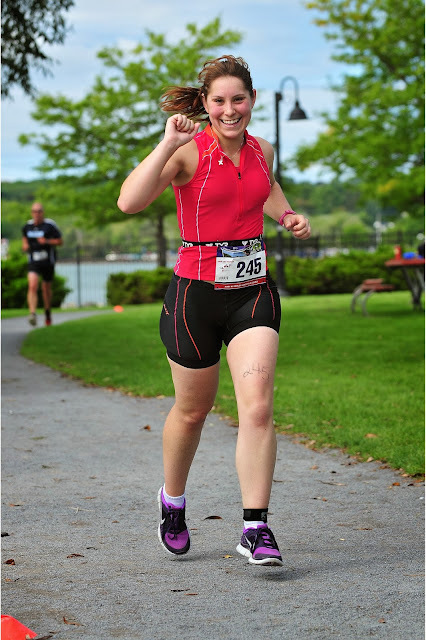 I also loved, loved, loved the run course for the Finger Lakes Olympic Triathlon. I always have a Luna bar shortly after getting up. I try to get all my stuff together the night before and get my clothes, Garmin, and heart rate monitor all set out. Depending on the length of the race I may eat a second Luna bar about an hour pre-race. My Garmin 310XT. I love heart rate training and the 310XT is triathlon specific. Not really. I try to eat clean and healthy as much as possible and limit my junk and alcohol intake during race season. That I had the potential to be a distance runner. I was a state qualifying short distance hurdler during my many years on the track team and I always thought I would only ever be a sprinter. 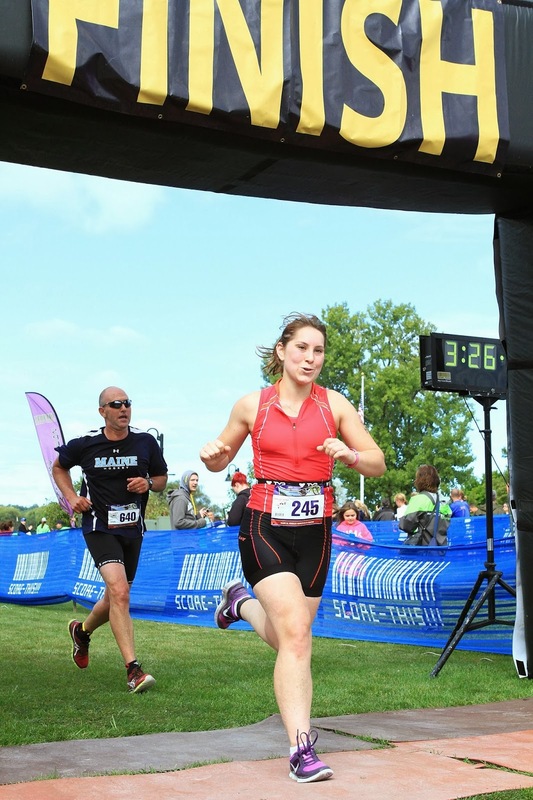 In 2012 I ran my first triathlon which was my first race longer than a 5k. 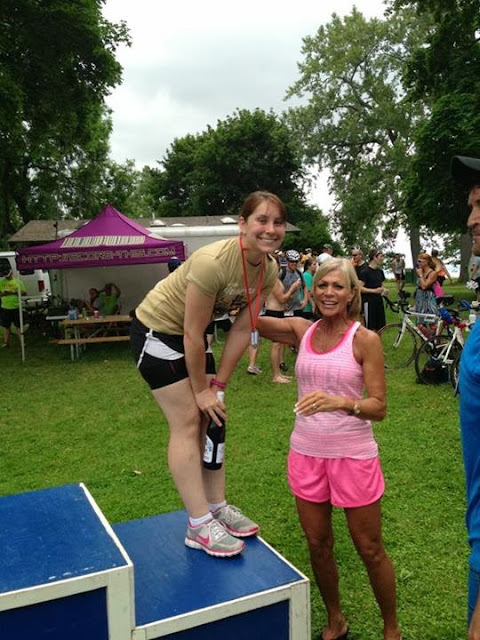 That was the moment I realized I could be an endurance athlete and have since gone on to run my first half marathon, register for my first half Ironman, and I plan to run a full marathon 2014 and full Ironman in 2015. I loved hurdling for my school’s track team. I missed being out on the track working on my leg position, three step stride, and jumps. I like the taste of mushrooms, but hate the texture. I cook with them then pick them out before I eat anything. Here are all the different ways you can connect with Courtney! All3sports.com: coupon code TRIGC15 good for 15% off all purchases through the end of the year! Thanks so much for sharing with us Courtney! QOTD: Did you race this weekend?